After 51 Years, Vans Is Finally Explaining What ‘Off the Wall’ Means - News24 - Upload Your Press Release Today! Vans’ new campaign celebrates individuality. The thing is, not a lot of people caught Stacy Peralta’s 2001 film, and not many more people know what “off the wall” actually means. And for fashion brand Vans, that’s always been a bit of a problem. Because Vans—known for its rubber-soled canvas shoe—wasn’t just part of the Z-Boys’ standard skateboarding uniform in the mid-1970s, it has used the phrase “Off the Wall” as a brand slogan since the late 1960s, when Paul Van Doren started selling shoes that bore his name out of a shop in Anaheim, Calif.
Of course, for Vans—whose sales blew past $2 billion in 2015—the customer base has grown a lot broader than skateboard kids, just like “off the wall” has come to mean much more than pulling an aerial off the rim of a swimming pool. And explaining the evolved meaning of “off the wall” is the subject of Vans’ newest campaign, which breaks today. “We are no longer just a skateboarding brand. We’ve become a broader lifestyle brand,” explains global brand president Doug Palladini, who says that while “Off the Wall” still retains every ounce of its skateboarding etymology, the new campaign explores and defines the phrase’s evolution, and how it’s come to define everyone who buys Vans. 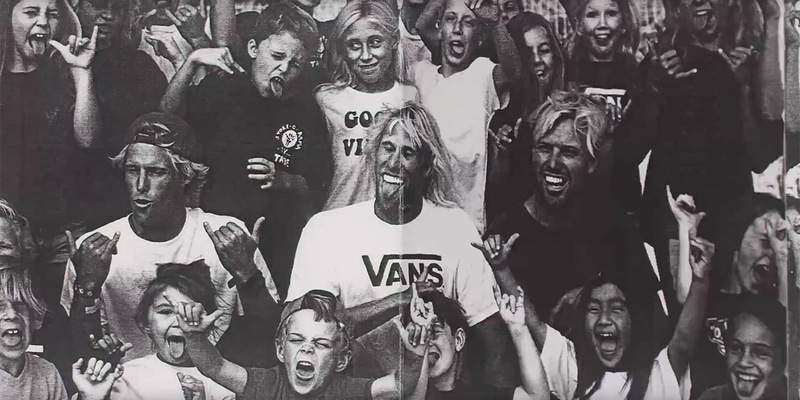 To that end, Vans has produced 12 short videos that will be distributed across its social media channels. Each features a brand “ambassador” chosen for what public relations manager Laura Doherty calls their “organic relationships with our brand.” Themed around Vans cultural pillars—the worlds of music, skateboarding, surfing and street-based artistic expression—the videos feature each ambassador talking about what he or she does well—and how it matters to do those things with unapologetic individualism. Messages like these are not new to Vans’ marketing. As part of its 50thbirthday celebration last year, the company opened House of Vans locations across the country—hipster dens featuring free concerts, places to skate, lots of artwork and classes on customizing your Vans with magic markers (or whatever.) “Our intent is to start our anniversary with a clear call to our consumers that we are the brand that celebrates and enables their creative expression,” Vans vp of global marketing Fara Howard told Adweek at the time. The difference now is that Vans is tying its core theme directly to its slogan, which has needed defining for a while.